Credit Center's April 2008 statistics shows credits in euro are becoming more and more popular in Bulgaria, including consumer credits. While at the end of 2007 just 6% of consumer credits were taken in euros, this amount has almost doubled year to date. This tendency is to a large extent due to the policy the banks have adopted, as funds in the european currency are much more accessible and cheaper to them at the moment, Credit Center told Profit.bg. A slow down in mortgage crediting has also been observed. The average credit size on this segment is decreasing, which is due to the activization in smaller cities and their larger share in the total amount of credits. Another reason for that are the rising interst rates, which make more people too cautious. The amount of the monthly installment continues to be the most important factor for people when choosing a loan. This is why most credits taken by Bulgarians are for an amount of up to 30,000 euros and a period of 25 years, which means 215 euros per month for the household. The time that Bulgarians take to choose a product is also growing and has almost doubled since the start of the year. This is caused by people's growing awareness and financial knowledge. Another three banks raised interest rates in April. The hikes are between 0.25 and 1 points, which mostly affected the credits in BGN. Analysts forecast a slowing down in crediting activity due to the higher interest rates and continuing instability of the financial markets. The high property prices in Bulgaria are another factor. Statistics also shows that more and more people withdraw their loan applications even after they have been approved as they have decided they could not afford the property they were looking for. 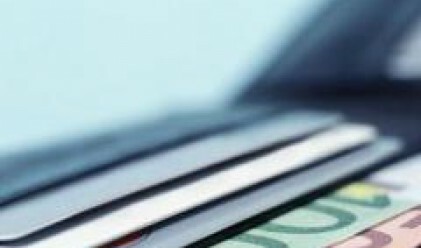 The average size of credits in Bulgaria stands at 41,116 euros.